The Kapuso network is currently showing a teaser of an upcoming TV program. In the teaser, they share us the hit fairy tale "Cinderella." But in the end of the teaser, they say that it was a Cinderella man! Yeah, that's right! It is "Cinderella Man!" This is one of the hit Koreanovela that will soon air in GMA-7! 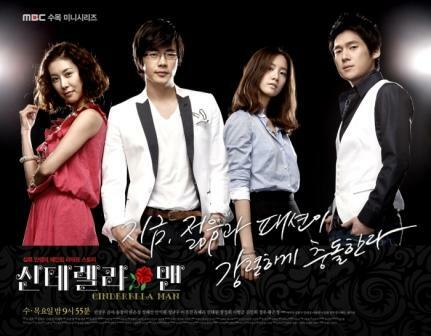 And the lead star of this Korean TV series is no other than the hunk Korean actor Kwon Sang Woo! Kwon Sang Woo who is popularly known as Cholo of "Stairways to Heaven" is the "Cinderella Man" in the story! Kwon Sang Woo is currently seen on GMA Telebabad as he plays the prosecutor and the leading man of Maureen in the Korean drama series "Big Thing!" "Cinderella Man" is definitely his second comeback on Philippine TV! Cool!